We are excited to join forces with the members of the States of Change collective, to help governments thrive in an age where it’s more important than ever to embed innovation capacity in teams. Across the globe, government teams are pioneering new ways to solve our biggest challenges. States of Change is a collective that exists to support this growing global movement. We are proud to announce our membership to a new international network: States of Change++States of ChangeDo you want to know more about the ins and outs of the Staes of Change collective? Check out the website.. Through this network we aim to help governments grow into new roles to match what is required of them, and strengthen their innovation capacity. States of Change was initiated this year by the innovation foundation Nesta (UK), with the aim of forming a collective to “build the capability and culture of governments, and to strengthen the community of practice around pThe aim is to build the capability and culture of governments, and to strengthen the community of practice around public innovation.ublic innovation”. Today, many governments are struggling to adequately act on wicked problems such as widening inequality, increased pressures on the welfare state, the sustainability transition and dealing with advancing technology. Although an increasing number of governments acknowledges how there is a need to change their culture and switch roles to improve their problem-solving ability, concrete examples of successful strategies remain hard to come by. As a response, this network brings together (government) practitioners, universities and business schools, and partners from across the globe including MaRS (Canada), Laboratorio de Gobierno (Chile), Tacsi (Australia) and the UNDP. States of Change helps governments identify the areas where improved problem-solving skills are needed. . Governments are then encouraged to recruit, develop, train and manage a more innovation-focused workforce tStates of Change helps governments identify the areas where improved problem-solving skills are needed.hrough a competency framework and hands-on learning programmes. Simultaneously, States of Change is an international R&D field around public innovation, which functions as a learning collective to inspire, identify, mobilise and validate new types of knowledge. The extensive network of partners will work together the coming years to enhance the quality of knowledge and learning programmes on problem-solving competencies, attitudes and skills. Public innovation is a core topic in Kennisland’s work. Over the years, we have pioneered new approaches and collaborations, for instance through our social labs and learning programmes for civil servants. 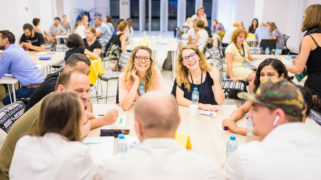 Through the States of Change network, we will be able to benefit from the expertise of distinct faculty members and network partners for our public innovation programmes and projects. Moreover, we will contribute to the international body of knowledge on public innovation by sharing our own insightsWe will contribute to the international body of knowledge on public innovation by sharing our own insights and ++Sharing our insightsFor instance last month, States of Change crossposted an opinion piece by Tessa de Geus on their website. and research results, as we already did last month. We look forward to many more public innovation collaborations to come! Stay up to date about the States of Change collective by following our network on Twitter. 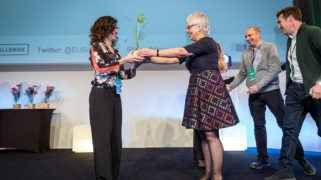 Yesterday the European Commission announced the finalists of the 2018 European Social Innovation Competition. Congrats to all of them! They were selected from a shortlist of 30 semi-finalists, out of almost 800 entries from 10 different countries.